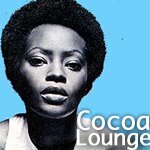 From Chicago, to Rent and most recently, Dreamgirls, Hollywood is churning out the Broadway hits left and right and nobody's more excited than the Cocoa Lounge that A Raisin in the Sun is coming soon to a television near you--and all of the original Broadway cast members are onboard! 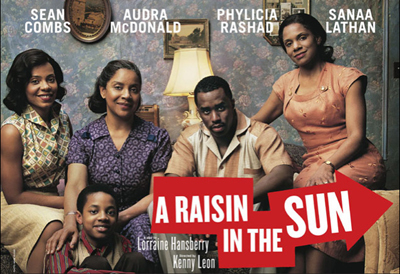 The Lorraine Hansberry play returned to Broadway in 2004 and starred Phylicia Rashad, Audra MacDonald, Sanaa Lathan and Sean 'P Diddy' Combs as the Youngers, a family of African Americans who face obstacles trying to move into their dream home in an all-white neighborhood. 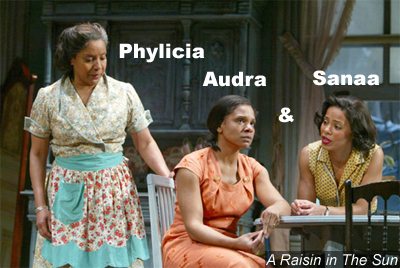 For their performances, Phylicia, Audra and Sanaa all garnered Tony Award Nominations, with both Phyilica and Audra walking away with Broadway's highest honors. Phylicia Rashad made history that night, becoming the first African-American ever to be awarded Leading Actress in a Play. The 3 hour television movie is currently shooting in Canada and John Stamos recently joined the all-star cast. 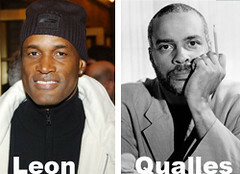 Paris Qualles penned the screenplay and Kenny Leon will direct. This isn't the first time A Raisin in the Sun has been adapted for film, it was originally made for the big screen in 1961 and helped to solidify Sidney Poitier and Ruby Dee as serious, furious actors. We know there's nothing like watching a live show in New York but finally, those of us who don't reside in the Big Apple can get a taste of Broadway without even leaving our own couch. Ain't it grand? Congratulations are in order for Shareeka Epps. 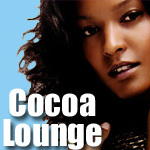 The Hollywood newcomer and Cocoa Lounge Fresh Face, was recently named Breakthrough Performer at this years' Gotham Awards. The win is just the beginning of what looks like a big year for Epps. On Tuesday, the Independent Spirit Award nominations were announced and Shareeka is in the running in the Best Female Lead Category. With all the Oscar buzz about Dreamgirls and The Pursuit of Happyness, it's refreshing to see Shareeka repping on the indie front. The literary world has lost another one of its amazing talents: Bebe Moore Campbell died yesterday in Los Angeles, she was only 56. Many may know Bebe through her novels, others may know her as the mother of actress, Maia Campbell, but she will forever be remembered as one of the most prominent female voices of African American fiction. In a year that has seen the loss of science fiction great, Octavia E. Butler, Bebe's passing has sent a collective shock through the African American literary community. 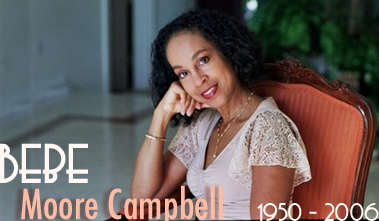 Best-selling author Bebe Moore Campbell has died from brain cancer in Los Angeles, the Associated Press reports. She was 56. 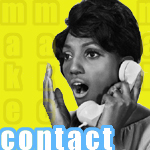 Her books include Brothers and Sisters, What You Owe Me, Singing in the Comeback Choir and 72 Hour Hold. 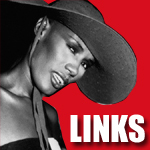 Read more about her life and writing at her Web site, African American Literature Book Club and Voices From the Gaps. 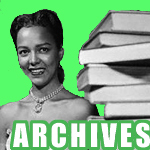 BookReporter has a 1998 interview with her, and NPR has several links for audio of her commentaries that aired on the network. Bebe Moore Campbell will be deeply missed. This UK Chanteuse has got more soul than many of today's celebrated R&B singers. We might need Rehab for our addiction to this joint, which was inspired by Girl Groups of the 1960's. You probably don't know their names or faces now, but soon you will. Claire-Hope Ashitey and Shareeka Epps (along with previous Fresh facer Keke Palmer) are poised to begin a new generation of young black actresses flexing some serious acting muscles. London native, Caire Hope Ashitey, will co-star in the upcoming apocalyptic drama Children of Men (view trailer), as --get this--Kee, the key to the preservation of the human race. Though she's already getting early accolades for the role, the 19 year old is rumored to be taking a break from acting to pursue a college career. In 2004, then 14 year old Shareeka Epps starred in writer/director Ryan Fleck's Sundance award-winning short film Gowanus, Brooklyn. When Ryan decided to adapt the short to this year's indie hit Half Nelson, Shareeka was a shoe-in for the role. Her portrayal of a 13 year old girl who bonds with her crack-addicted junior high History teacher, is sure to win her consideration at the Independent Spirit Awards next year. 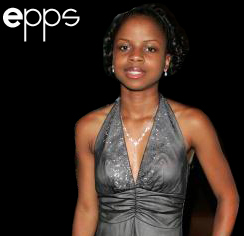 Look for Shareeka Epps in the upcoming "Alien vs. Predator" sequel.